Fully mortised and tenoned and painted both sides, this pine door has a charming gunstock design. 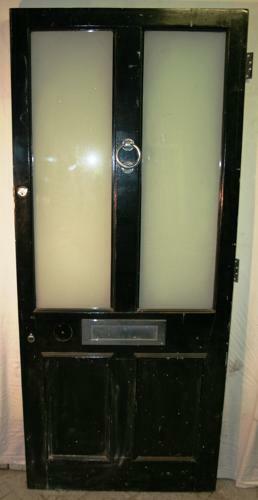 It has its original door knocker and large letterbox. The glass is broken and needs replacing with glass that passes current safety regulations. We can quote to supply and fit this.